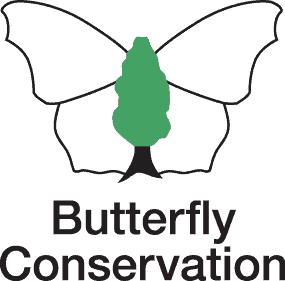 Amphibian and Reptile Conservation Trust, Bat Conservation Trust, Bumblebee Conservation Trust, Buglife, Butterfly Conservation, Plantlife and the RSPB. The Heritage Lottery Fund, which distributes National Lottery money to projects conserving and promoting our nation’s heritage, is proud to be supporting the groundbreaking Back from the Brink project. The initiative is one of over 3,600 National Lottery funded projects across the UK working to raise awareness of and protect our precious threatened species, and the remarkable landscapes they live in. We’ve already invested over £760 million into conserving the country’s natural heritage, and this latest investment of £4.6m is essential to supporting British nature for future generations to enjoy. Postcode Green Trust was established in 2011 and supports charities and good causes that promote the conservation and protection of native wildlife and habitats in Great Britain, encouraging enjoyment and access to the outdoors. Postcode Green Trust operates its own society lottery and is entirely funded by the players of People’s Postcode Lottery. The Foundation is one of the largest independent grant-makers in the UK. In 2016 we made grants of £42.4 million towards a wide range of work within the arts, children and young people, the environment and social change. This charitable trust was established according to Patsy’s wish, to support charities which Patsy was involved in or which are close to her heart. They have to be in England, Scotland and Wales and working in the fields of the environment and conservation, training and education, and music and creative arts. The Forestry Commission is the government department responsible for protecting, expanding and promoting the sustainable management of woodlands and increasing their value to society and the environment. England's Woods and Forests are cared for by Forest Enterprise England, an agency of the Forestry Commission. We support a wide range of community and environmental projects throughout England and Wales. The money we use for grants is made available through the Fund. Veolia has supported this initiative by contributing over £75 million since we were established, which to date has been used to award over 2,200 grants to projects.